We all have to eat and buy gas, right? Now you can do that at King Soopers and support Bootstraps at NO ADDITIONAL COST to you. 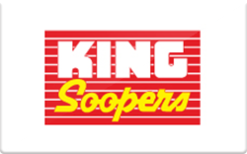 Bootstraps is participating in the King Soopers Community Rewards Program, and King Soopers has made it easier than ever for you to participate. Every time you use your King Soopers Rewards Card, Kings will donate 5% of your purchase to Bootstraps. All you have to do is designate Bootstraps as your beneficiary. In the Find an Organization box, type IV071 or Bootstraps. If you have questions, call Colleen at 303-670-3632. Thanks for helping Bootstraps help mountain-area students reach their educational dreams!